We are too accustomed to listening to the news, what others have to say, negative opinions and pessimism. It’s time to start listening to your own inner guidance by choosing to Listen to Your Heart. Why? You ask… Good question. (1) When we Listen to Our Heart, we feel more grounded and more peaceful. (2) When we Listen to Our Heart, we hear messages for our highest good. (3) When we Listen to Our Heart, we can make decisions with integrity. (4) When we Listen to Our Heart, we raise our vibration immediately! How? You ask… Good question. (1) First, we need to release the need for the approval of others (tapping will help you do this). (3) Then we need to make notes about the messages we hear – write them down, talk to a trusted advisor about what your heart revealed to you. (3) Then we need to honor the messages we hear by considering them or even acting on them if that feels right at this time. When we Listen to Our Heart, so much wisdom is available. We no longer listen for negative consequences, or listen to make sure others still like us, or listen for people’s reactions we want to avoid. When we Listen to Our Heart, we listen to the truth. And we don’t have to act on what we hear right away, we just need to know that our inner compass is working, and will guide us correctly if we give it some space and basic airtime. I know some of you are afraid to Listen to Your Heart – What does it want? What might it suggest? What if I don’t like what it says? Others of you say you don’t have enough time to Listen to Your Heart – that you’re already too busy, can’t afford the time or space. Still others of you think this world doesn’t really care about what your heart has to tell you. When you start looking for ways to Listen to Your Heart, it communicates to the Universe that you sincerely want to know the truth for you and only you. The Universe hears what’s in your heart anyway, but appreciates the sincerity and effort to honor your inner wisdom. When you Listen to Your Heart, the Universe hears you because you immediately raise your vibration. Remember that what precedes abundance showing up in your life is a high vibration – one of optimism, joy, gratitude or appreciation. So make the time to Listen to Your Heart so the Universe can send you what you want. I don’t see anything but advantages and positive consequences when you Listen to Your Heart. I can’t think of a single “downside” to making the effort to do this…. IF and only IF you want more abundance to flow into your life. We know that the Universe hears our vibration not our words. We have all learned from Law of Attraction teachers that we will receive more of what we are “broadcasting” to the Universe. 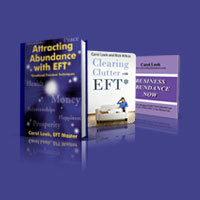 So get inspired to Listen to Your Heart – and watch your manifestations of abundance improve! So there are many opportunities each day for you to Listen to Your Heart. And when you take the time to do so, you will enjoy the new miracles you will be attracting effortlessly into your life. When the Universe sees and hears and feels your desire to hear what’s in your heart, it will respond with joy and abundance! Below you will find EFT setup phrases to help you be inspired to release your blocks to being able to attract what you want into your life. Thank You, Universe for teaching me how to Listen to My Heart… I feel more aligned with abundance already! Thank You, Universe for allowing me to feel inspired to Listen to My Heart… I am looking forward to exciting results! Thank You, Universe for making it so easy for me to Listen to My Heart – I feel the vibrational shift and power already! Combine these messages with this week’s topic, Listen to Your Heart and make a profound and positive shift in your daily attraction process!